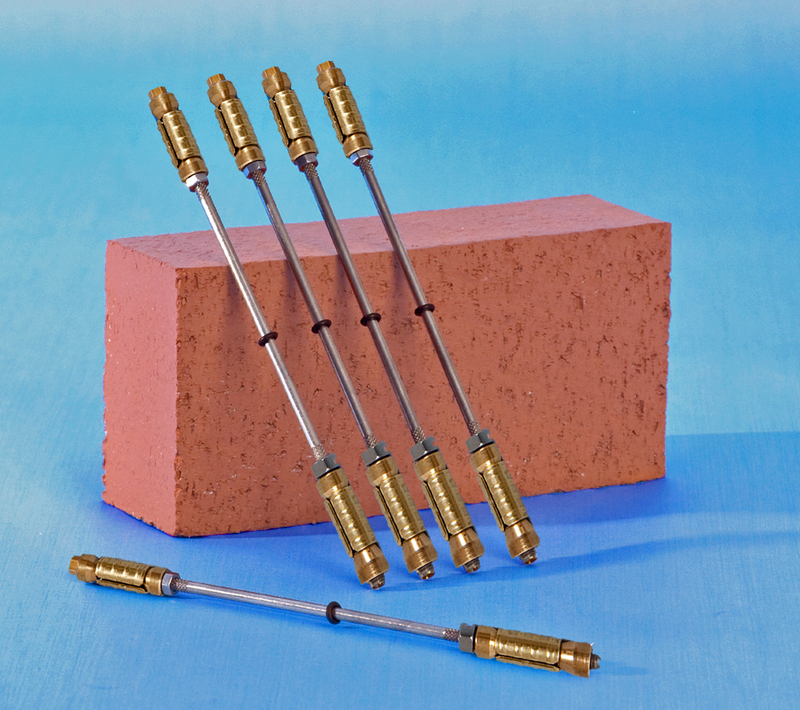 Mechanical wall ties for cavity wall tie replacement. 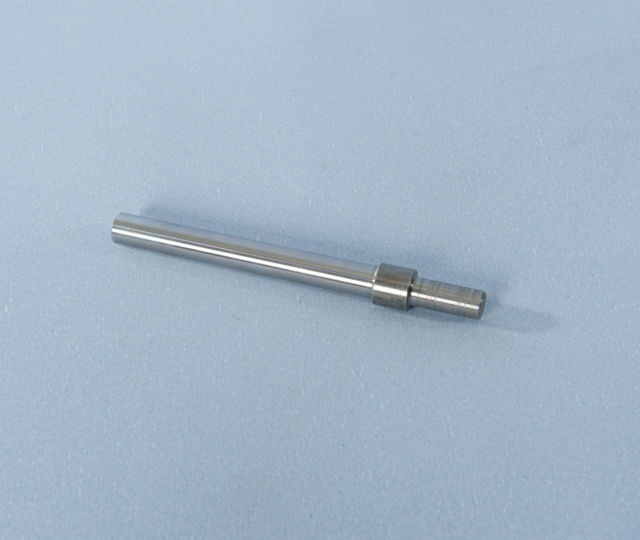 This mechanical tie has an expanding brass shell mechanism at each end of an Austenitic Stainless Steel bar. 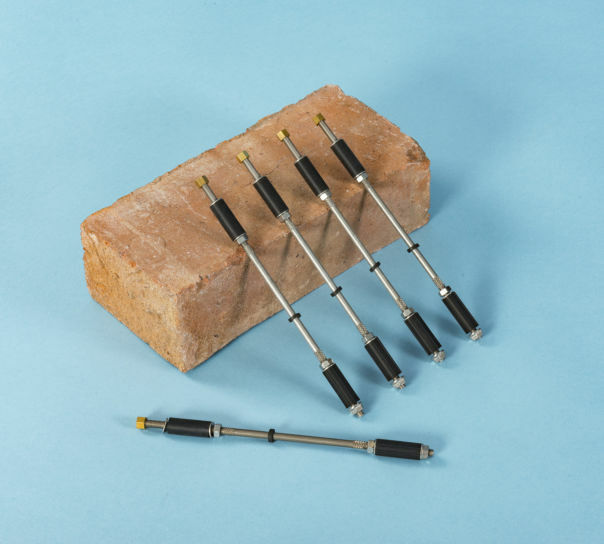 The expanding wall tie features a part-threaded nut which, when turned, rotates the bar, forcing open the brass shell up conical ramps to grip the remote masonry leaf. At a factory set torque level the bar taps a thread in the remainder of the nut to force it down the bar, expanding the near leaf to grip the wall. 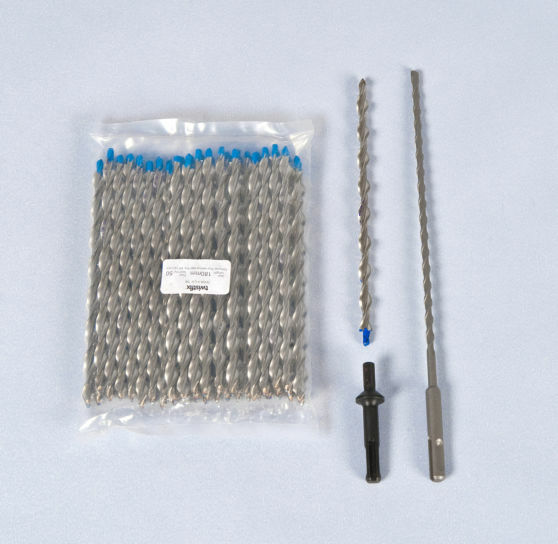 These mechanically expanding wall ties are suitable for all wall tie replacement applications save for use in perforated bricks or in friable blocks having a compressive strength of less than 7N/mm2 (Ref: BRE Digest 329 Decision Tree).